''The Chosen Few'' – three words that not only refer to a worldwide Hip Hop organization uniting and accomodating all the cultural elements and yet reaching further. 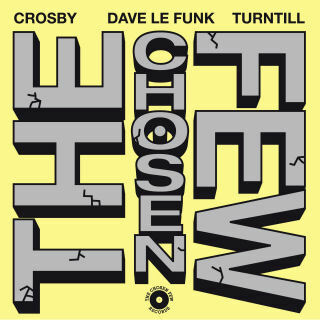 ''The Chosen Few'' – three words that together form but the title of a song referring to the alliance of the same name, produced by three members of TCF: Capetown's own, Crosby Bolani, Switzerland-based producer Dave Lefunk and Swiss DJ Turntill, whose endeavors made the collaboration possible in the first place. Together, the three TCF ambassdors have created a musical hommage to the realness, the open-mindedness, and not least to The Chosen Few itself. Being the musical all-rounder he is, Crosby adds his distinctive Reggae flavor to the tune, his soulful voice perfectly fusing with Dave Lefunk's beat, who is known for his warm quality productions. Conclusively, ''The Chosen Few'' winds up to be a trinity: consisting of three words, three collaborating artists, and at the same time representing a bond, a mind-set, and a song alike.